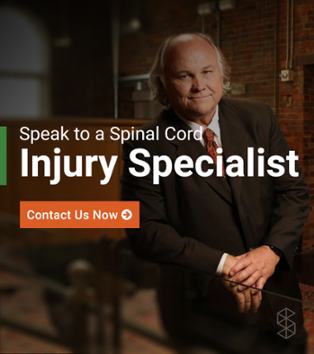 Over its 30+ years in business, Swope, Rodante has secured millions of dollars for those who have suffered a brain and spinal cord injury at the hands of another. Throughout each of these cases, the lawyers of Swope, Rodante have built lasting, personal relationships with their clients and feel a strong connection to the work that is being done to find a cure for paralysis. SpinalCord.com was created with the hopes that it would be more than just a website. It is a place for those who have suffered a similar fate to come together for support and growth. We wouldn’t be able to continue this website without your participation so we humbly thank all who have helped us grow SpinalCord.com to the thriving community that it is today. Swope, Rodante P.A. was founded in Florida in 1979 as a solo practice. Over the years, they have grown their staff to 30 dedicated lawyers, paralegals, assistants, and investigators. Unlike other firms who handle a diverse range of cases, Swope, Rodante’s work is focused entirely on a single mission: assisting individuals who have been catastrophically injured or victims of insurance bad faith. By focusing on a single mission, Swope, Rodante has been able to become one of the best in business and has been recognized by U.S. News, Super Lawyers, Martindale-Hubbell Lawyer Ratings, and many others for the effectiveness of their case outcomes. Learn more about Swope, Rodante by visiting their website. Swope, Rodante typically retains between 8 - 12 attorneys on staff. Each attorney specializes in an area of brain and spinal cord injury cases. From medical malpractice, to car accidents, to injuries on the workplace, and many more, there is a lawyer who will be able to help with your case. The managing partners at Swope, Rodante are Dale Swope and Angela Rodante. Learn a little more about them below. 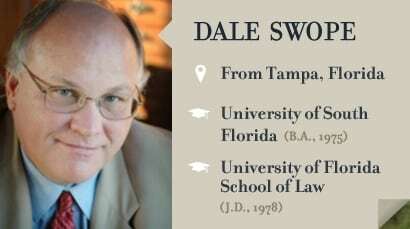 Dale Swope has been an attorney for nearly 40 years. He built his solo practice six months out of law school and as a Tampa native, he has made solving cases for people who were unjustly injured his life’s mission. Mr. Swope has received numerous accolades including ‘Best Lawyers in America’ and ‘Who’s Who in the South.’ But he is the first person to tell you that the most important distinction is the appreciation of the clients he’s helped over the years. Read the rest of Dale Swope’s bio here. Angela Rodante joined Mr. Swope in 2003. Her focus is on civil trial litigation and assisting clients who were injured or wronged by insurance companies. She has focused her work on improving access to the U.S. court system for these types of cases. Ms. Rodante is a highly decorated attorney and has been recognized as the ‘Nation’s Top One Percent’ by the National Association of Distinguished Counsel as well as one of the ‘Best Lawyers in America’ for three consecutive years. Read the rest of Angela Rodante’s bio here.